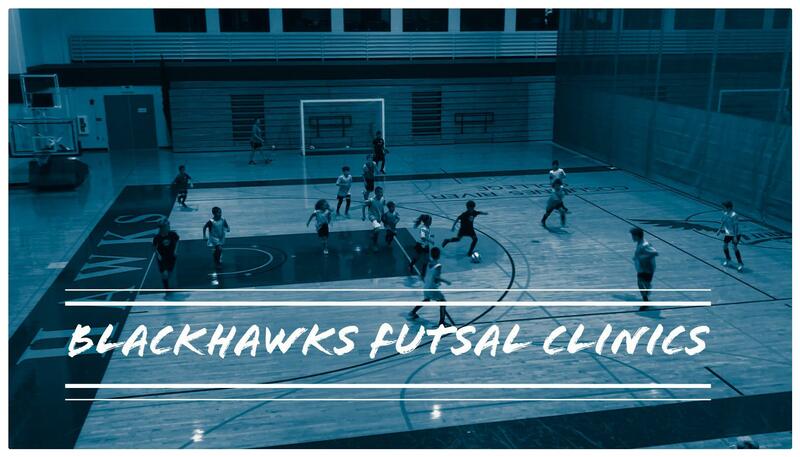 Blackhawks SC provides Futsal Clinics throughout the year which are designed to improve upon the athletes performance by introducing them to a fast paced environment where they will learn to combine mental and physical performance. Through these clinics your child will enhance their skills, decision making and footwork by learning how to play in tight spaces and on a fast surface. Athletes will learn under the guidance and curriculum of Blackhawks Director of Futsal Sanaldo Carvalho. Clinics are open to all athletes with discounts given to current Blackhawks players. Session dates vary throughout the year in order to ensure that your child is able to make it to trainings with minimal conflict. Clinics are generally broken down into blocks of 5 training dates (1 day per week) and are organized by players ages. Space is limited in order to ensure a proper player to coach ratio and maximum instruction. Sessions do sell out quickly, so be sure to sign up as soon as registrations are open. Kombat Soccer is the best choice for all of your soccer and rugby uniform and equipment needs. Customer service is our number one priority. EIFA - EduKick International Football Academies. EduKick Inc., since its inception in 2001, has catered to youths and student athletes 10 to 17 and adults 18 to 24 years old, the world's top rated international academic year soccer boarding schools and residential international soccer academies and futbol camps located in Madrid, Spain; Perugia, Italy; Manchester, England; Cannes, France; Puerto Vallarta, Mexico; Toronto, Canada; & Belo Horizonte, Brazil. Here's how to become an EduKick team member. These fine organizations make what we do possible. Please show your support to these amazing partners and thank them for their commitment to our organization. Interested in becoming a partner? Elk Grove, CA – Blackhawks Soccer Club is proud to announce Lasher Auto Group, as a new Title sponsor and as sponsor of our Blackhawk’s Tournament Series, which includes two Futsal Tournaments, and two outdoor soccer tournaments. LASHER AUTO GROUP was founded in 1955 when Wes Lasher opened his first dealership in Downtown Sacramento. Over the decades, we have expanded to include many other lines to better service the Sacramento area. Elk Grove Dodge Chrysler Jeep Ram is the number one retail jeep dealer in not only Sacramento but all of Northern California! We offer Mopar Service, Parts and Accessories, friendly and well trained staff who use the latest in automotive dealer technology to help serve you faster. Our beautiful new state of the art facility provides a pleasant environment for purchasing or leasing your new truck while the service department waiting room provides a quiet environment for you to work either from our wireless network on your laptop or tablet. The Lasher Auto Group is still family owned and operated as it has been for over 60 years in the Sacramento Region. 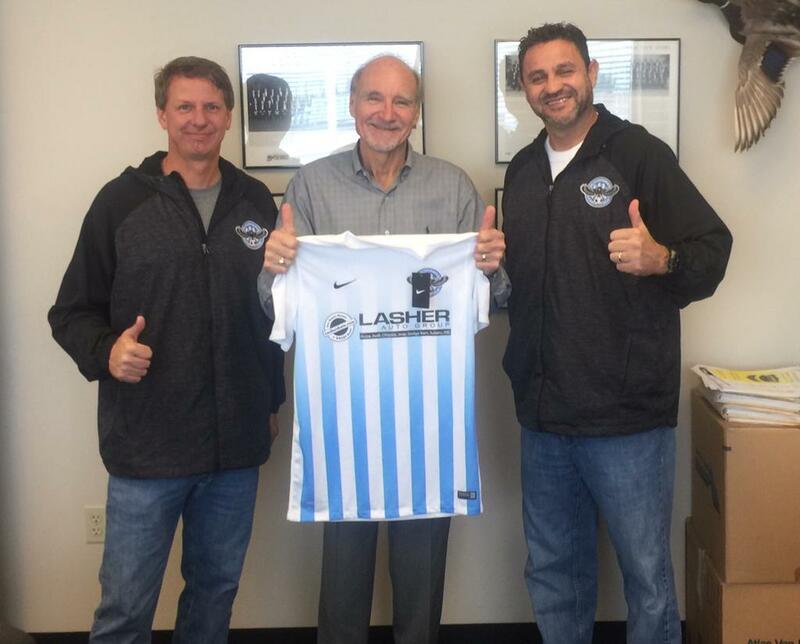 At the Lasher Auto Group "Our Name Means a Great Deal"
BLACKHAWKS SOCCER CLUB, founded in 2016 by Cesar Plasencia and Rich Moorhouse. Cesar Plasencia will serve as the Director of Soccer, and Rich Moorhouse will serve as Director of Operations. Our aim is to create a club that serves our community in soccer. Every coach and member of our club will understand that service is our priority. Blackhawks SC is committed to the development of each player's soccer skill set (technical, tactical, physical, psychological). We believe that every player can participate in soccer and find the love for the game that allows soccer to be a sport to be practiced for life. We believe in honesty, trust, loyalty and community and will teach and practice these values daily. Soccer in Slow Motion (SISM) is a street soccer company that is anything but slow. We make some of the top street soccer products in the world and our advanced skill programs bring a love of the game to players and light up the crowds at events! SISM produces the world's top street soccer products and provides street & freestyle entertainment for the world's biggest names like Google, Adobe, McDonalds, Powerade, AT&T, MoneyGram, Tabasco, and many more. We also host the USA's most anticipated street and freestyle tournament, the American Panna & Freestyle Tournament (AP&FT). ©2019 Blackhawks Soccer Club Elk Grove / SportsEngine. All Rights Reserved.